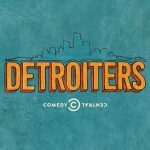 Chris “Comedian CP” Powell is currently recurring as “Ned” on the critically acclaimed Comedy Central series DETROITERS and starting pre-production for a pilot he’s writing and starring in for Adult Swim. Buy tickets to see Chris “Comedian CP” Powell at the Comedy House, Click Here! Prior to the entertainment business, Chris Powell was becoming a rising star in the advertising world. Since arriving in Los Angeles, CP has landed recurring characters on EMPIRE, performed on All Def Comedy on HBO, created and starred in THE D, a pilot for TBS, and hosted MTV2’s clip series WORLD STAR TV.